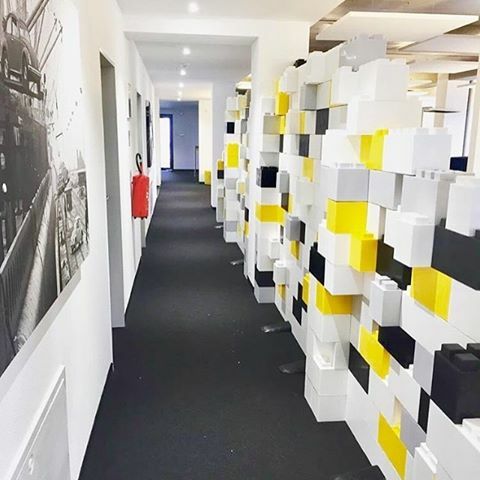 The universality of the EverBlock system allows you to create all types of accent walls, portable room dividers, and modular walls, to re-shape spaces and change the look and feel of your room. 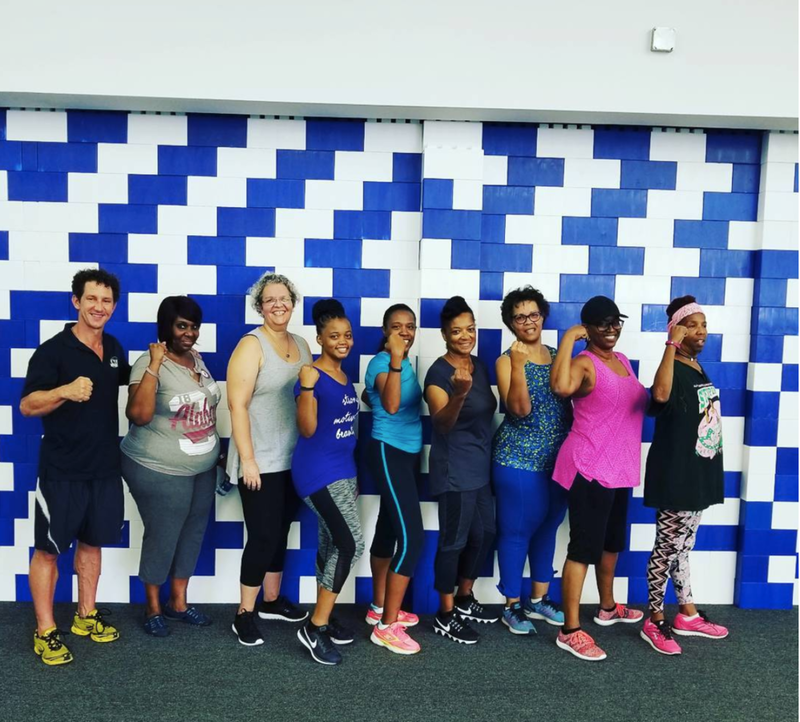 Whether you are a homeowner looking to create a room divider in a loft space or kids bedroom, an office looking to install demountable walls, a factory looking to divide their space, a gym looking to provide a colorful and fun enclosure for a play or workout area, or a special event looking to divide tents or ballrooms in an elegant fashion, the versatility of EverBlock makes these types of projects a "snap". 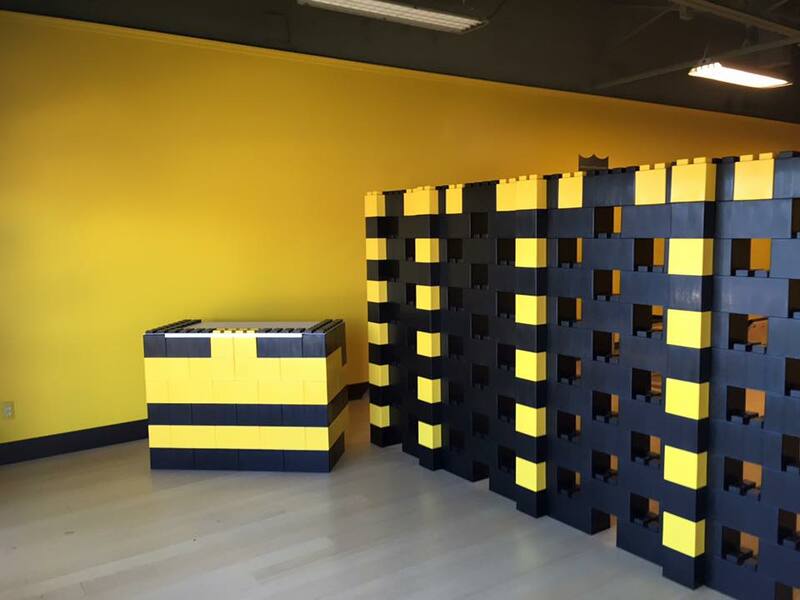 Incredible bedroom makeover using EverBlock building blocks and EverBlock modular wood flooring! If you know the dimensions of the wall that you need, check out our Wall Kit page! 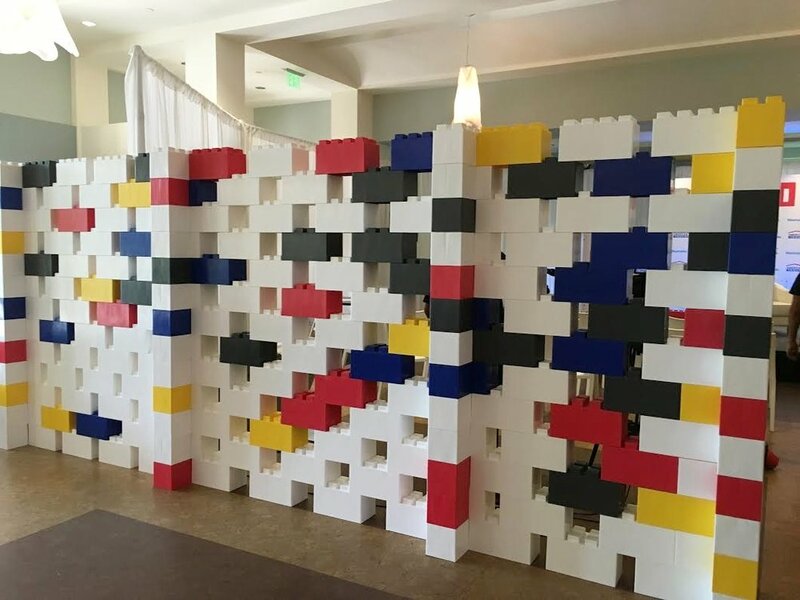 With EverBlock® you can make completely custom accent walls and room dividers that can vary in height, width, thickness, color, shape, or openings. Add semi-translucent blocks to allow light to enter or run LED lighting strips within the blocks to create illumination. 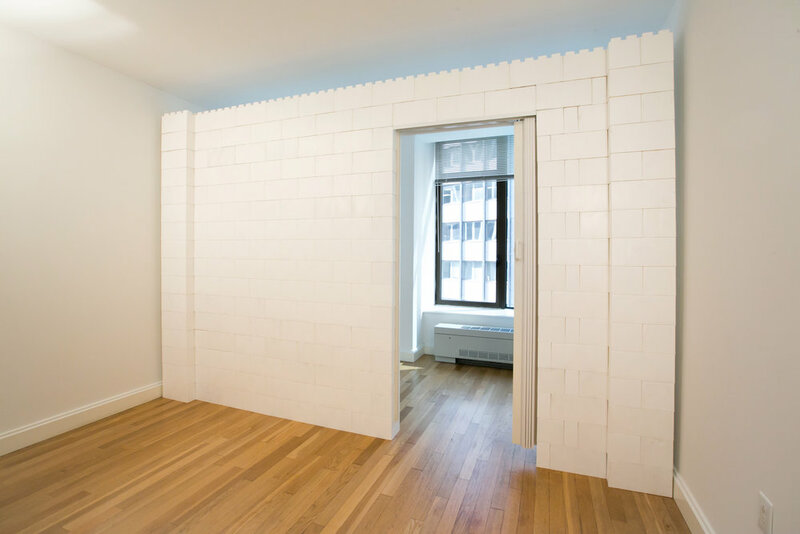 EverBlock® is perfect for shared apartments, dorm rooms, basements, offices, and to divide spaces for commercial use such as for events, to section of construction areas, and a multitude of other applications. 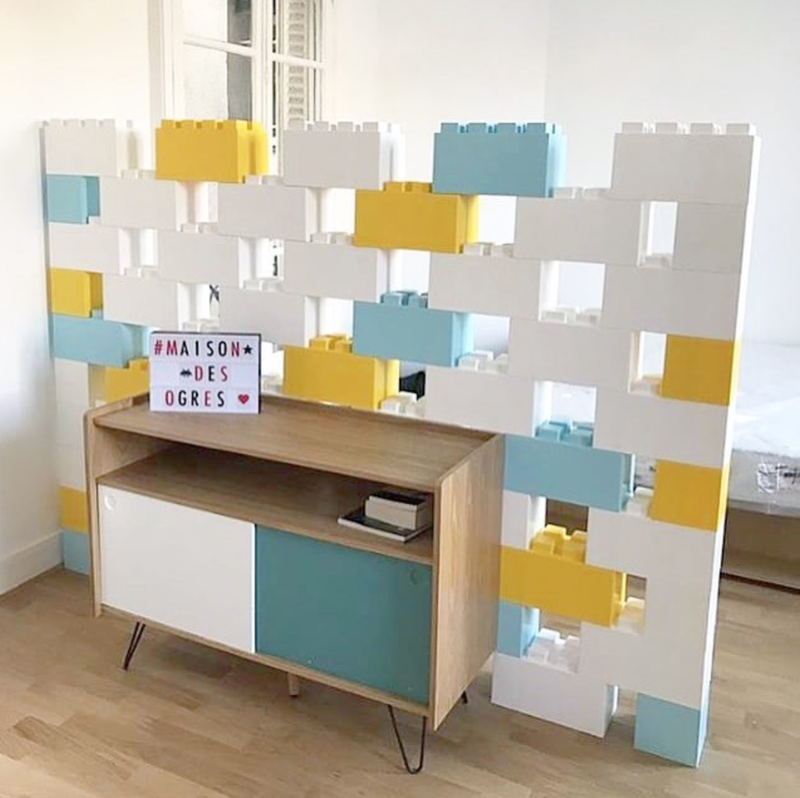 Instead of using clunky "bookcase walls" or "pressurized walls" that can damage your fixed walls, you can build beautiful EverBlock portable walls to separate living areas. 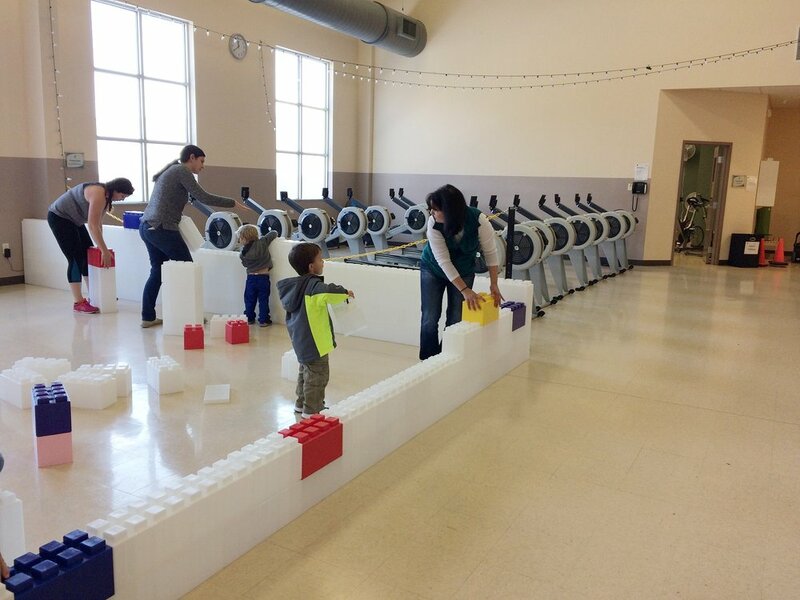 EverBlocks install quickly and can be reconfigured as needed should your needs change. 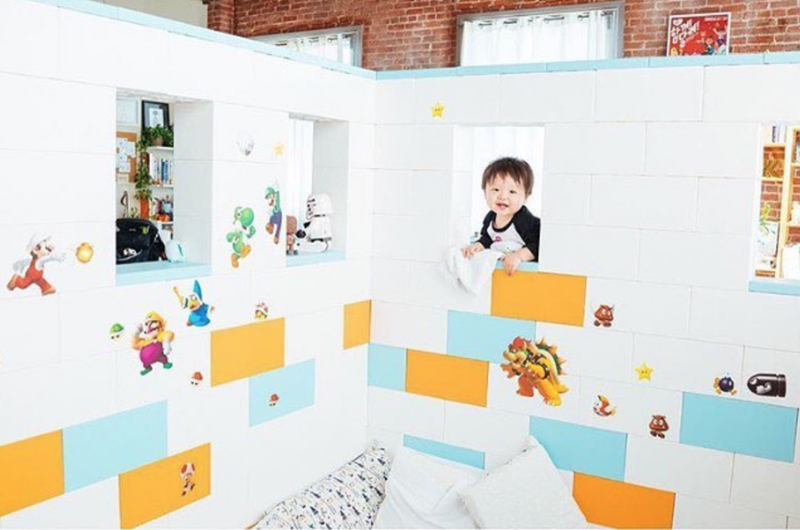 You can start with a smaller wall and add blocks as needed to expand your wall at a later date. Alternate block colors and sizes to create dramatic visual effects or use standard sized blocks in muted colors for a more traditional wall feel. Leave openings for doors, windows, light, or air flow and build in shelving and other elements as needed. If you know the dimensions of the wall that you need, check out our Wall Kit page. Add simple accordion doors or standard doors to your walls for added privacy. Accordion door tracks connect to our standard 48" Lintel, creating a 36" doorway opening. Create multiple rooms from one room, quickly, easily and with no dirt or debris. Install yourself easily and reposition, reconfigure, and remove and move to another location as needed. 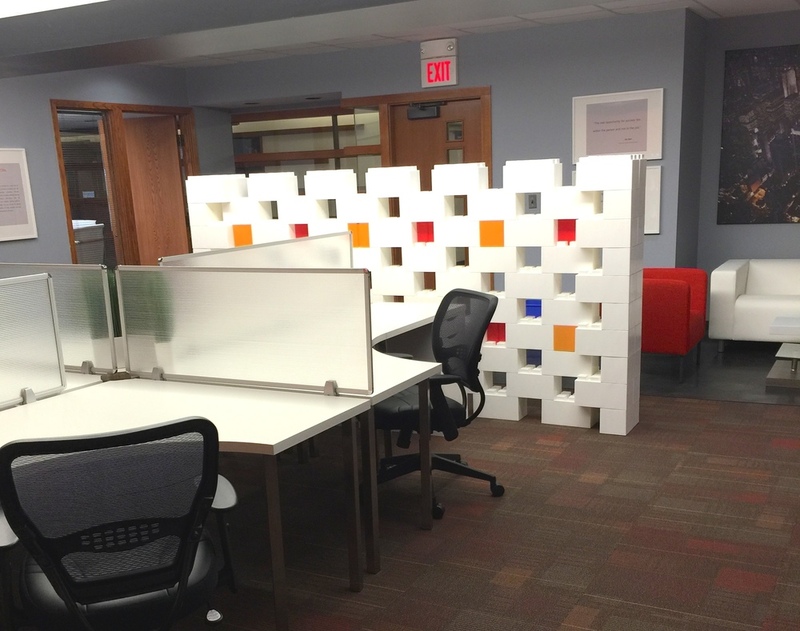 Create durable and robust dividers to divide spaces, improve acoustics, and create privacy. 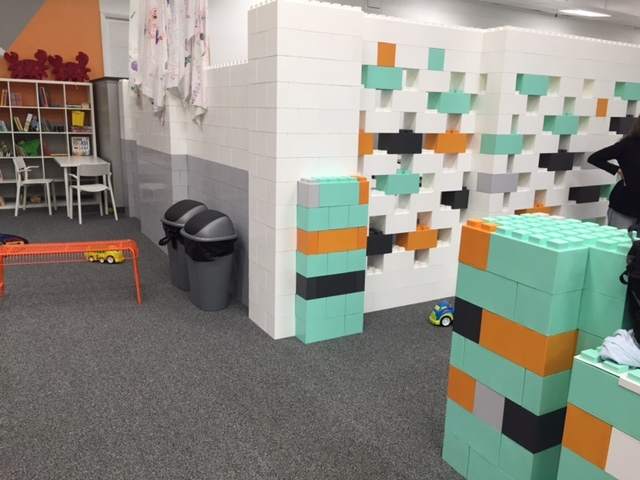 Add blocks and layers as needed to close in your space and to create a solid wall that can be reconfigured as needed. Add wooden dowels inside walls to provide additional stability and strength and to reinforce taller walls. Build customized walls with unique sizes, directions, and elements such as doorways, columns, and other features. Detailed video showing construction of a modular wall. Shows placing of blocks and doorway as well as building of columns for additional support. 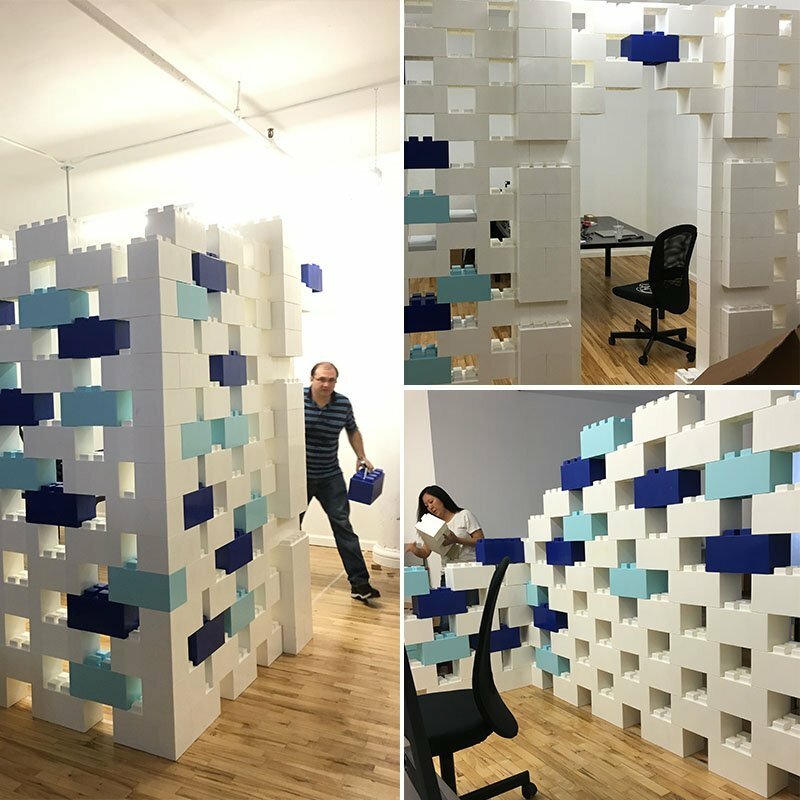 Use EverBlock® to create beautiful office and factory dividers that add an architectural element that contributes to the spirit of innovation. Separate spaces with style and bring boring spaces to life in a way that contributes to a dynamic corporate culture and work environment. EverBlock wall panels are attractive, help with sound, and are stable and durable. 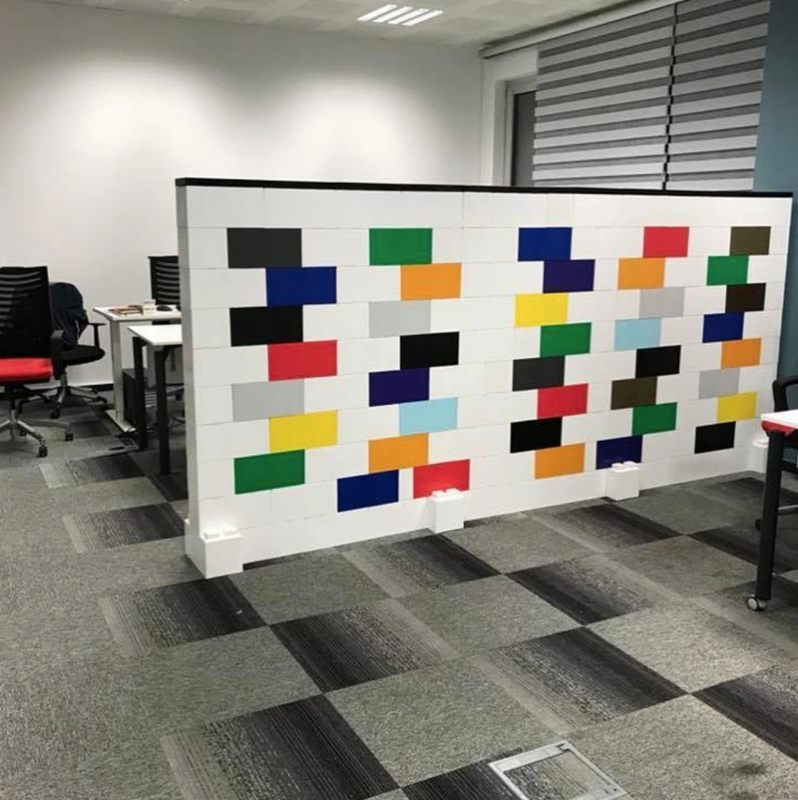 Use EverBlock to delineate offices, separate work areas, surround desks, create conference rooms, divide event spaces, and build out a short term offices. Build cubicle walls, privacy screens, and temporary wall panels for all types of uses. 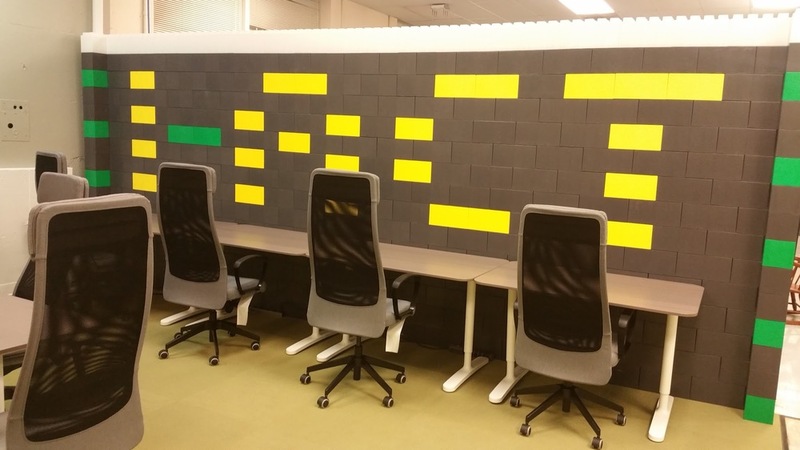 Reconfigure walls as needed, move and change size and shape, and re-purpose into all types of other objects - from desks, to seating, and from cubicles, to decor. Use EverBlock in place of bookshelf walls or pressurized walls, eliminating the dust, dirt, and potential damage caused by construction. Divide loft spaces, convention halls, and other areas. 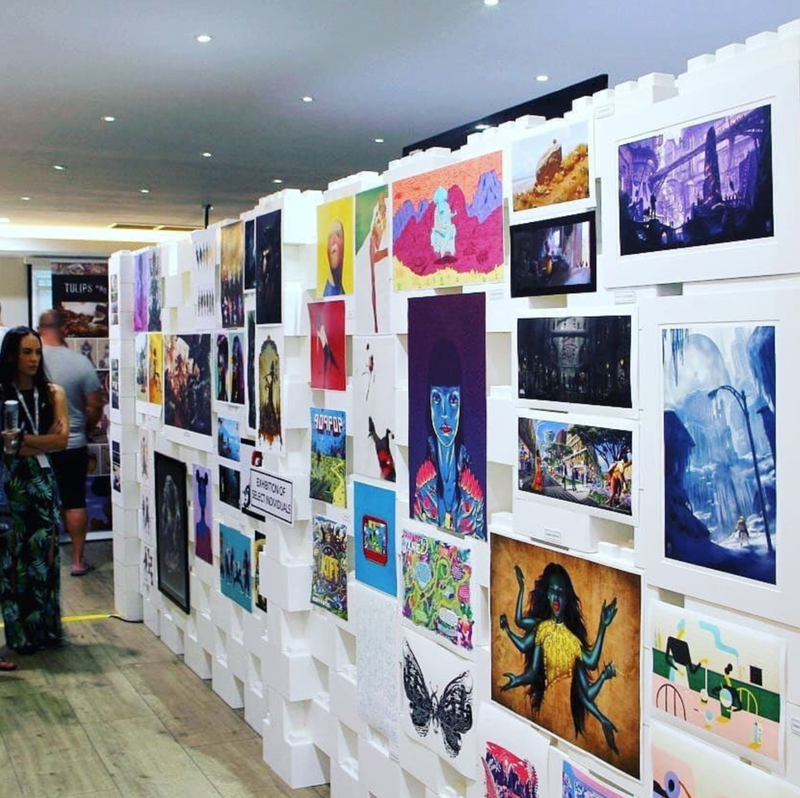 Create crisp display walls for art galleries, conference room divider walls, and event space delineation walls. 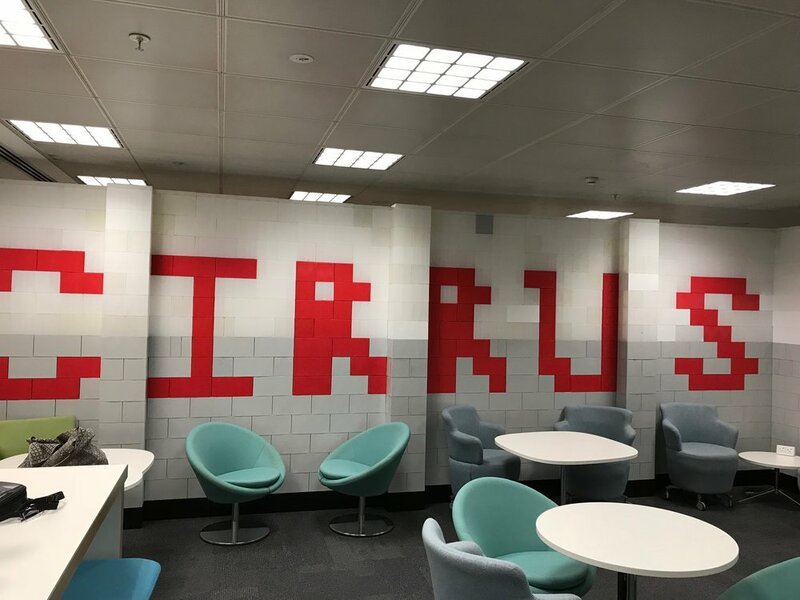 Create amazing walls for displays, events, factories, facilities, and anywhere you want to delineate and divide spaces. Use EverBlock® to create complete floor plans for offices, factories, and other places where you might not be able to engage in permanent construction. 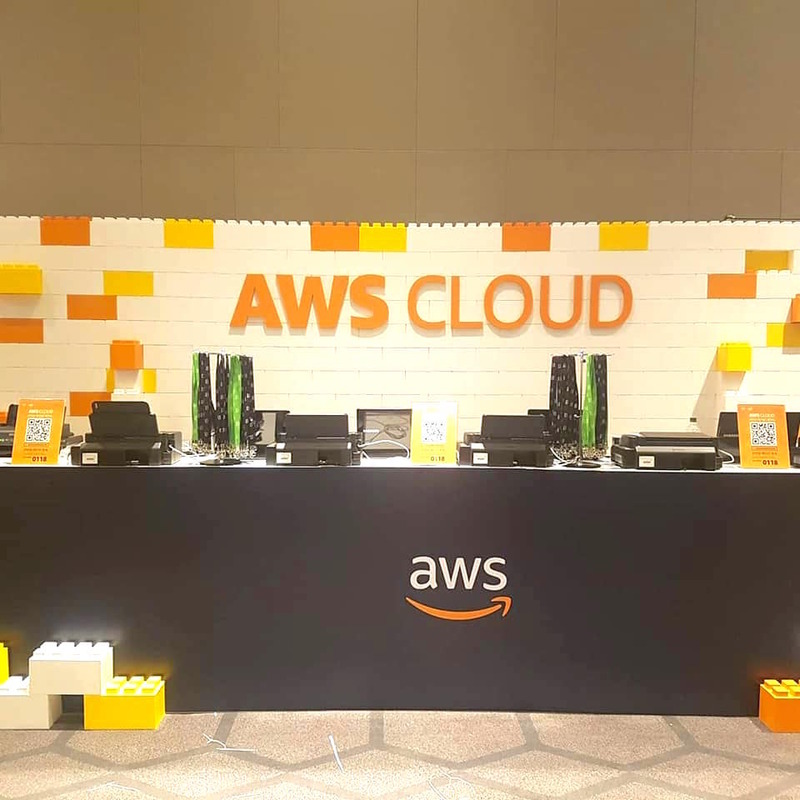 Quickly build out temporary environments and create true-to-life architectural models of complex spaces, in only a few hours, allowing you to review plans and get a true sense of size and space. EverBlock being used to layout a floor plan for architectural review. Use EverBlock to create complex room layouts, including hallways, doorways, and antechambers. 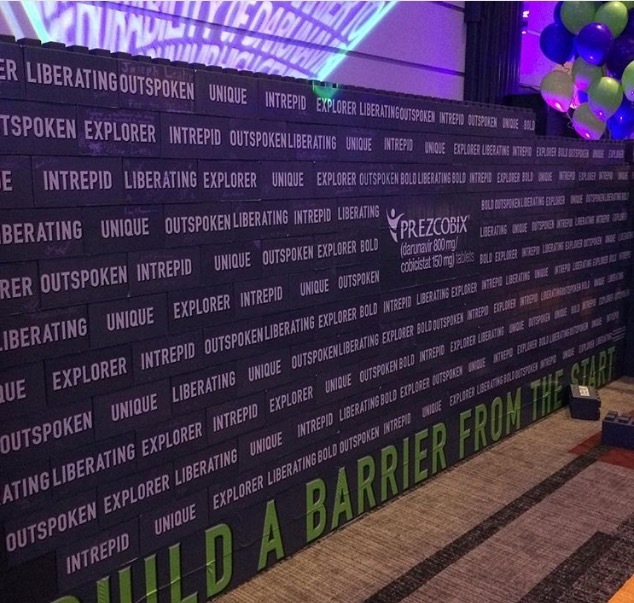 Build full-height wall dividers with columns for additional support. Imagine being able to envision an entire space, in life-size, before building. Test various layouts and designs. Test floorplans and revise as needed during the design phase. Move walls and model furniture, A/C ducts and other elements. Create complete modular rooms and work-spaces. The wall is almost complete, with an open design to allow light and air through and to create a beautiful architectural effect. Building codes vary from municipality to municipality. We encourage you to contact your local building department to verify any applicable local requirements.